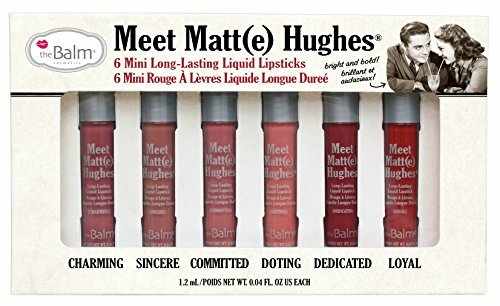 Introducing the Meet Matt(e) Hughes mini set from the Balm Cosmetics, featuring six top-selling shades of our truly loyal liquid lipstick. Whether you're single and ready to mingle, or dedicated and finding "the one," this limited edition kit is the perfect 'matte'ch-maker! If you have any questions about this product by theBalm, contact us by completing and submitting the form below. If you are looking for a specif part number, please include it with your message.